March is National Nutrition Month and this year is the 40th anniversary of the observation. Each year is a different theme helping people focus on different aspects of eating a healthy diet. This year’s theme is “Eat Right, Your Way, Every Day.” I was on Better Mornings Atlanta this morning showcasing this year’s theme as well as the recently released cookbook, Seasonal Eats, from the Georgia Academy of Nutrition and Dietetics. You can watch the segment here. So what does “Eat Right, Your Way, Every Day” mean? It acknowledges that we all have individual needs, preferences and lifestyles and there is a way to fit healthy eating into it, every day. Sometimes we just have to be a bit more creative and plan ahead for that to happen. Nutrition isn’t a cookie cutter one-size fits all approach. As a registered dietitian, I work with individuals to come up with a plan tailored to their particular situation with solutions for every day life. Of course a big food trend right now is eating seasonal and local. I am fortunate living in the Atlanta area, which has wonderful farmers markets all over that really make this easy. While sourcing the ingredients is one thing, knowing what to do with them is another. The Georgia Academy of Nutrition and Dietetics has just released a cookbook, Seasonal Eats, that provides numerous recipes divided by season, featuring Georgia-grown products. The recipes were all created by talented Georgia dietitians and nutrition students (and yes, I have a recipe in the book as well – my Vidalia Onion Peach Relish). 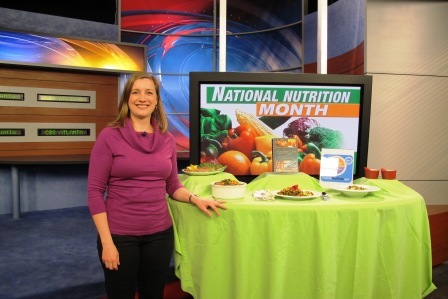 On today’s segment, I highlighted 4 recipes that embrace the seasonal and local movement as well as some of the concepts of The Dietary Guidelines for Americans as illustrated in MyPlate – eating more whole grains, fish and legumes in addition to fruits and vegetables. 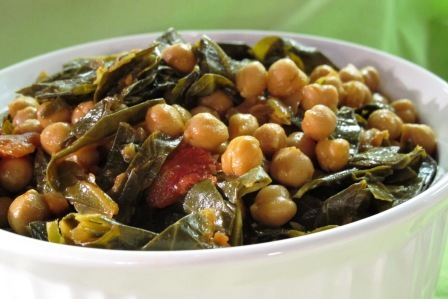 Collard Green and Chickpea Curry – This is a great recipe for an entrée served over brown rice or side dish with a hearty depth of flavor that even the biggest of meat lovers will find satisfying. The collards are still in season at local farmer’s markets here (mine came from the Marietta farmer’s market this past weekend). Greens provide a lot of great vitamins, minerals and fiber and contains cancer-fighting properties. Chickpeas are very versatile and full of B vitamins, fiber and protein. 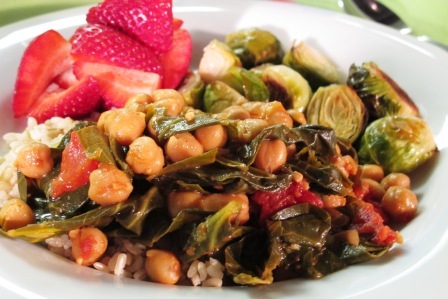 The fiber found in the greens and chickpeas can also help reduce LDL or bad cholesterol. 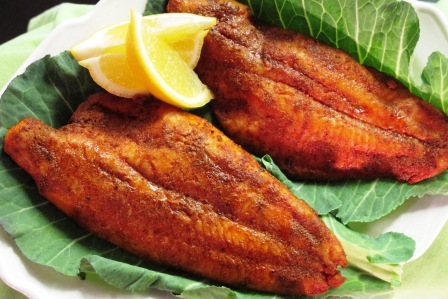 Spicy Broiled Catfish – Southerners usually equate catfish with fried, but this is another great way to eat it that is simple and full of flavor. Fish is a great choice for a lean protein. 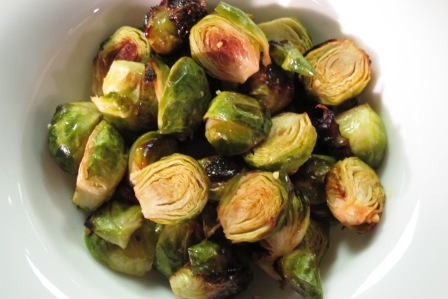 Roasted Brussels Sprouts – This is a vegetable that most people either love or hate. I used to be in the latter but am now in the former as I have learned to how to cook (preferably roasted for me) and flavor it well, which makes all the difference. We are at the tail end of when they are in season but Brussels sprouts can still be found at local markets. They are packed with nutrients, including folate, and also has cancer fighting properties. 5 Minute Chocolate Cake – Yes, you can have your cake and eat it too! I love this recipe because it only makes 2 individual “cakes” which helps control portions since you don’t have a whole cake sitting around tempting you. 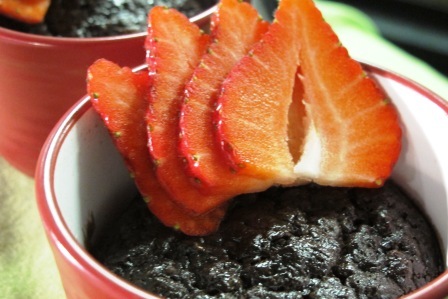 But the best part is it is made with heart-healthy ingredients: oats, ground flaxseed and dark chocolate. Top off with fresh berries and it is delicious! Seasonal Eats, is available for $12 from the Georgia Academy website. A big shout out to Georgia State interns Ben Steele, Abby Johnson and Meredith Johnson for helping me behind the scenes with food prep, styling and set up for today’s segment. You guys rock! What are your favorite seasonal recipes?